Fall semester is almost here, and for many of us that means Study Abroad!! 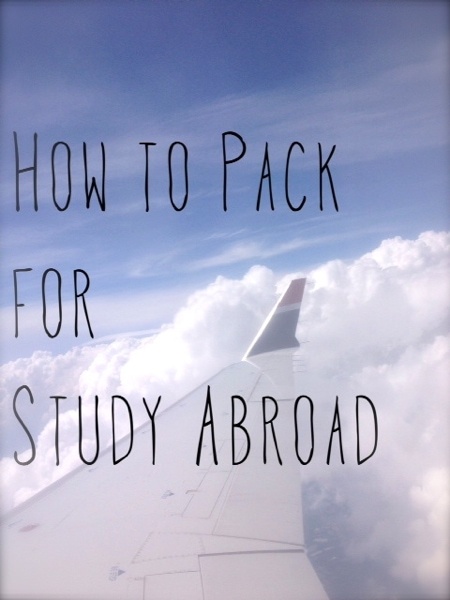 !If you aren’t sure about studying abroad, but have always considered it… do it. You won’t regret it! 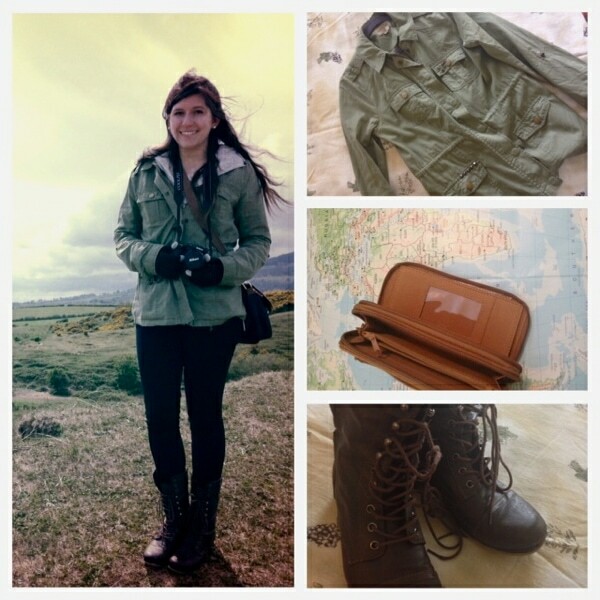 I had the chance to travel to Spain, England, and Ireland this summer and I wanted to share with you what I wore, along with some tips on what to bring with you when you study abroad. 1. What’s the weather like where I’m going? Hot? Cold? Rainy? Sunny? Do some research before you head out, so you’ll have a general idea of what clothes you need to bring with you. 2. 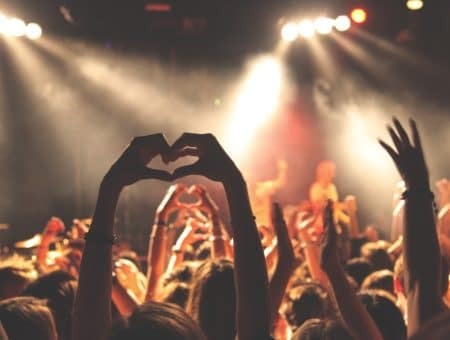 Are there cultural differences? For instance, in Europe, some cathedrals won’t let you in if your legs are exposed. Again, research is key! 3. What will I be doing? Riding elephants? Climbing the Alps? Building wells? Meeting diplomats over crumpets? Figure out whether you’ll need to pack anything special like hiking shoes or professional attire or make plans to buy some once you arrive at your destination. 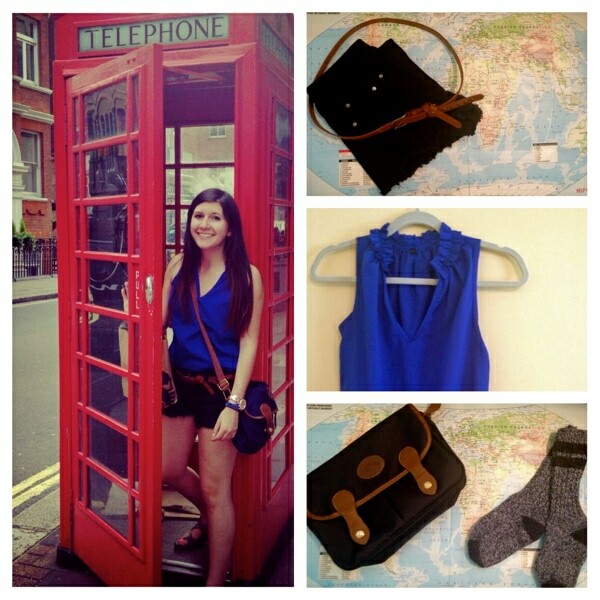 For a more in-depth looks about what to pack and dressing guidelines and tips for specific countries, be sure to check out our previous study abroad posts. In order to not clash (any ’70s/’80s music fans out there? ), I suggest bringing solid-colored tops. I love sheer, thin ones, like the one I’m wearing above, because they’re so easy to layer. Throw a sweater on top, and you’re set for winter. Most importantly, they hardly take up any room in a suitcase. More room to take home a Paddington Bear or one of the Queen’s corgis! My purse is a cross-body,and has a flap, snaps, and zippers to make it less accessible for pickpockets. At one point, I had a rain jacket, water bottle, and chunky camera all stored in here. In fact, I probably could have fit the entrance to Narnia in there. Here in the South, we don’t wear socks. Just kidding! We just don’t wear wool camping socks. The reason I pictured these is because they saved my life by keeping my feet dry (during hikes) and warm (some hostels don’t have heaters). Also, don’t forget a belt like I did – you’ll need one more than you think you will! Let me tell you the equilibrium point of style and comfort: combat boots and a utility jacket. How did I live my life without these? Utility jackets are all the over place, and rightfully so. Mine has a hidden drawstring in the middle to cinch in at the waist and cute star accents. These pockets were the handiest dandiest things in the world. Underneath this jacket, I have layered a rain jacket and a sweater on top of a shirt like the one pictured above. Combat boots are waterproof, comfortable, and the dirtier they get, the better. The only con is that they’re somewhat hard to take off in airports. Confession time: these are jeggings. (The horror!). Jeans are not ideal because they tend to stretch out a lot after a couple of times of use and feel baggy in all the wrong places. 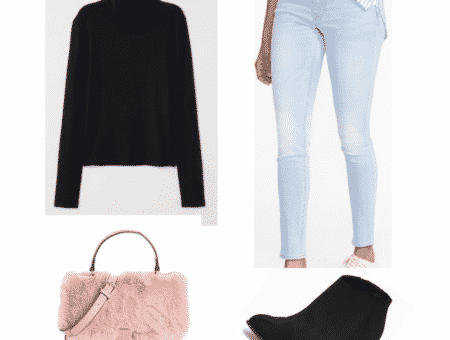 Black jeggings take up less room, match everything, and look nicer than jeans. Many study abroad trips are to multiple countries, which may mean multiple currencies. If you’re juggling multiple currencies, bring a large wallet. You need something roomy that can easily organize your bills, coins, whatever, and make everything easy to find. You do not want to waste your precious free time trying to dig for the right change. Seriously, the panels on mine melted off the frame, even with a convertor, adaptor, everything. I read some similar stories about this happening to other people’s chis. If you need a hair dryer, or straightener, I’d suggest waiting till you get there and buying a cheap one. RIP, destroyer of my hair health. Where do you plan on going for Study Abroad? There is nothing holding you back! Secondly, which of these tips was the most helpful? 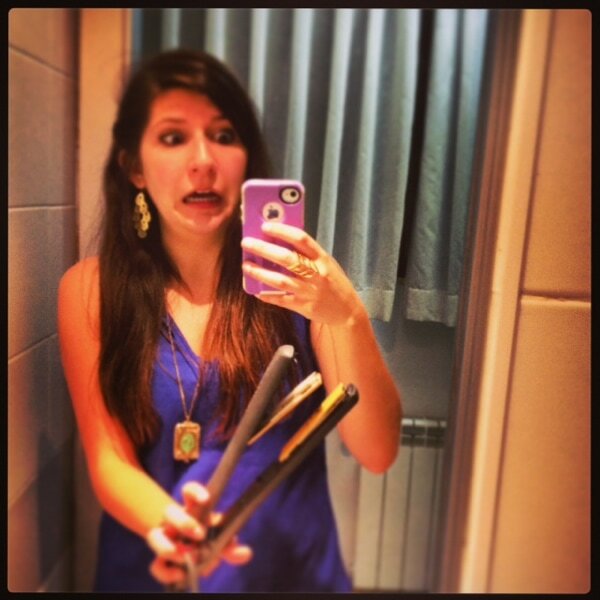 Would you like to see more from my Study Abroad trip? Let me know in the comments below, por favor! Next Ask CF: How Can I Dress Laid-Back but Fashion-Forward?